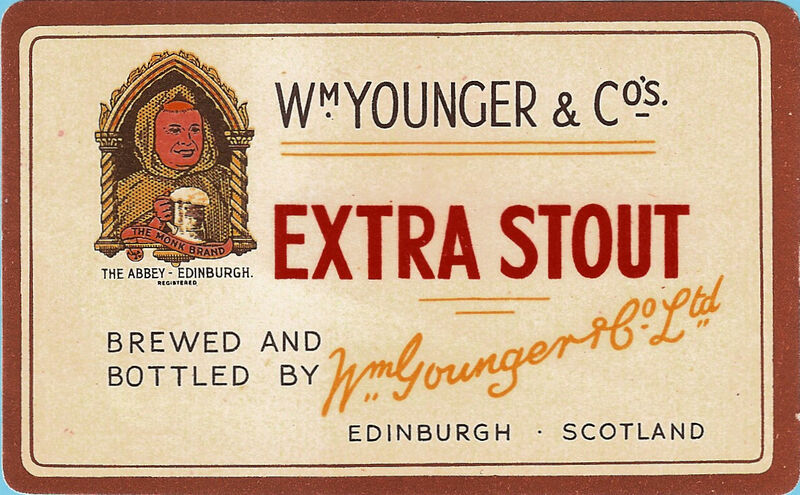 I’ve already mentioned that William Younger was a bit odd with their beer range. Nowhere was that more true than with their Stouts. 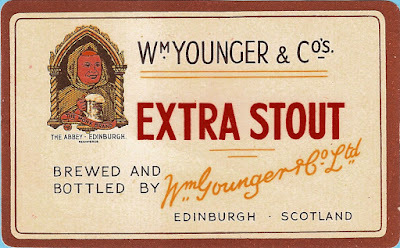 In first half of the 19th century they brewed Stouts that looked very much like those from London. And different from Younger’s Scottish-style beers in that the rate of attenuation was significantly higher. In the 1870’s they started a new range of Stouts, much more lightly hopped and with a poorer degree of attenuation. Sometimes they contained no fresh hops at, just spent hops from previous brews. This post WW I version is rather more heavily and thankfully without spent hops. It’s a nightmare writing a recipe with lots of spent hops in it. I’ve assumed, for recipe purposes, that spent hops have a tenth of the power of unused hops. No idea how accurate that is. For William Younger, the recipe is incredibly complicated, with three different sorts of malt and caramel. Obviously, there’s a shitload of grits, too. Though not quite as many as it some of their other beers. The hopping, in terms of varieties, is exactly the same as for all their other beers of this period: Kent, Saaz, British Columbia and Pacific. Not quite sure what Saaz was bringing to the part as the amount used was always pretty small. For a compare and contrast exercise, next I’ll give you the recipe for DBS, the most long-lived of Younger’s Stouts. And the most normal-looking one. Do you have a sense of what it means for the flavor of the beer to have such a high percentage of grits? I know at lower levels grits mainly just provide some fermentables without a lot of flavor, but it's less clear what to me what happens with the amounts of grits in some of the beer recipes you've been offering recently. Caramel 500? I've not heard of that. Is it by chance a typo? Is the 2.5-h boil correct? I would have to target a huge boil volume, because My typical boil-off rate would basically run the kettle dry. Or was top-off water constantly added? I would bet 2.5 hours matches what the brewer did, since RP references various long boil times in an earlier post. I'm sure it's fine to go with maybe just 90 minutes since it appears that translating fullscale brewers records is an inexact science. The caramel 500 might be a reference to caramel coloring, like what Coke puts in their cola. You can buy it online and some brewers stores sell it. It looks like the recipe has a bunch of black malt already, so it may well come out fairly dark without the caramel. Unless you're right and it's a typo and that's supposed to be caramel 50 -- half a pound of caramel coloring would be a massive amount. But I'm not sure they'd be using caramel malt around then. In the UK it's always called crystal malt and never caramel malt. Caramel is stuff you make out of sugars, like brewers' caramel.